Retaining walls can be constructed in all shapes and sizes, and Team Work Fencing Contractors offers a variety of different options to appeal to your own sense of style. 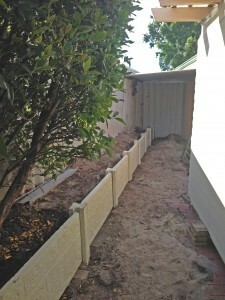 As the leading provider of modular, timber, stone, brick, and the impressive Twinside retaining walls in Perth, WA, we design and install only the most highly durable and expertly engineered panel and post retaining walls that will act as a stabilising force to prevent shifting earth and soil erosion due to possible drainage issues. We get the job done properly and on-time, with minimal disruption to your home or commercial property. Receive a No Obligation quote today! Regardless of whether you need a retaining wall repair or an entirely new construction, the design experts from Team Work Fencing Contractors has the engineering expertise to properly evaluate the drainage requirements of your residential or commercial property. We will then offer our expert advice on which of the many options and designs that will work best for your particular needs. Our goal is to provide a long-lasting and extremely durable product that will last for several years to come. Team Work Fencing Contractors offers a wide variety of modular fencing options that include textured or smooth concrete finishes, wood or timber designs, and even designs made with a stone or brick appearance. Modular walls are very commonly seen along the Australian highways that lie adjacent to residential properties. Many of these can even be constructed to provide increased levels of noise reduction while also offering sturdy protection against shifting earth and possible property damage due to poor drainage and soil erosion issues. These can even be constructed out of many different types of wood, if concrete, stone, or brick finishes are not to your liking. Team Work Fencing Contractors has designed and installed many of these types of partitions, especially in rural areas where property owners want the final design to blend in perfectly with the surrounding natural elements. Timber fencing is not only strong and durable, but it is also very decorative and even a bit rustic. The specially treated timber can also be painted in any colour imaginable to further enhance the overall curb appeal of your home or commercial property. The Twinside brand is well known for its highly durable and extremely strong designs, making this style one of the more popular in the Perth area. Twin side is a type of prefabricated, modular design that is constructed out of a series of aesthetically pleasing concrete posts and panels. Options include a wide variety of colours and patterns that are even displayed on both sides of the panel. Individual posts will be custom cut to the perfect height, based on the agree-upon design and perimeter location of your high quality retaining wall. Over time, older designs can begin to show signs of damage or needed repair as years of poor drainage and soil erosion can cause the earth behind them to shift and move. If these issues are left unattended for too long, we can fall victim to some rather devastating property damage as a result. All that it takes to completely destroy some of these older retaining walls is a single heavy thunderstorm before the home or commercial structure located on the property is completely demolished by a massive surge of mud and earth. The appearance of cracks or crevices in the adjacent flooring, driveway, or parking lot. The appearance of sloping or uneven floors, decks, and outdoor living spaces. If you should begin to see any of these warning signs, call Team Work Fencing Contractors for an immediate and free consultation. We will conduct a complete and thorough property evaluation to determine your best and most affordable options in reconstruction or repair. 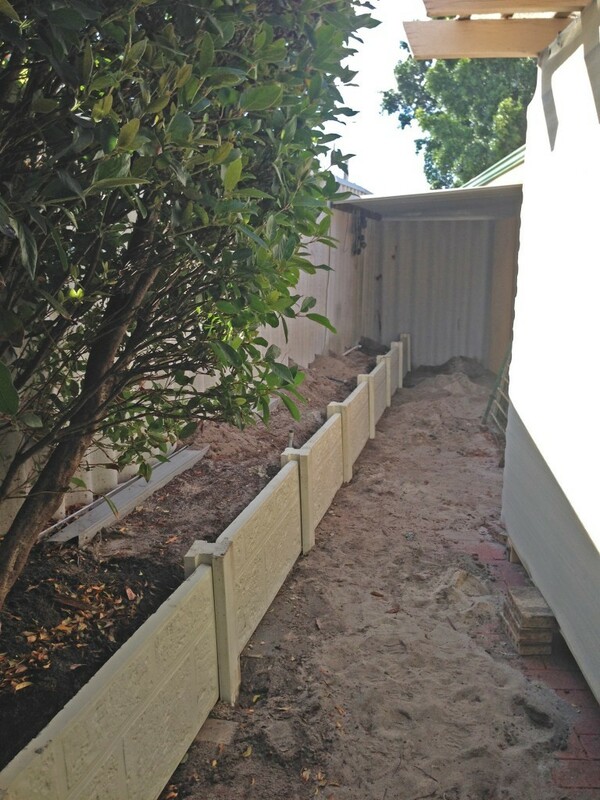 For Twinside, timber, brick, stone, or modular panel and post retaining walls, in Perth, WA, contact us today!